Dry Run, a portrait of a studio is a single screen video about a television studio. 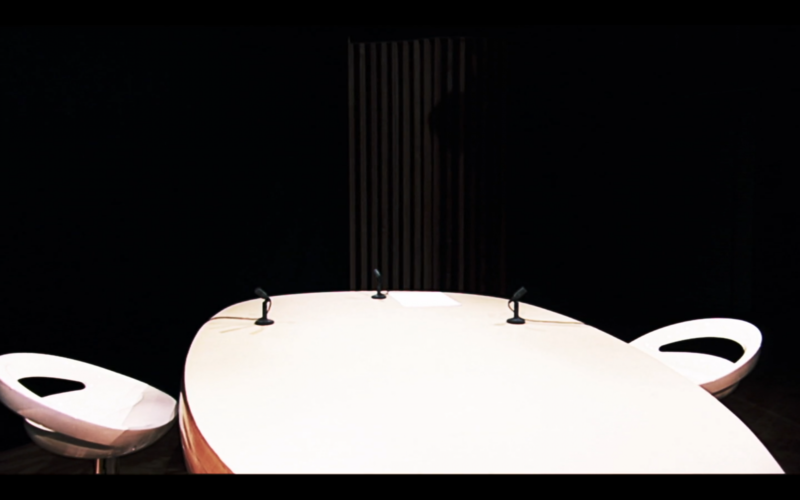 The setting existing a table, three chairs, three microphones and a sheet of A4 paper, is filmed from multiple angles with different movements that are commonly used in television programs. The video is presented as a loop without a beginning or end.